This engaging nature simulation turns kids into gardeners who grow beautiful flowers and food for sale. Montessori Nature is a simulation game where kids run a farm that grows flowers, fruits, and vegetables. 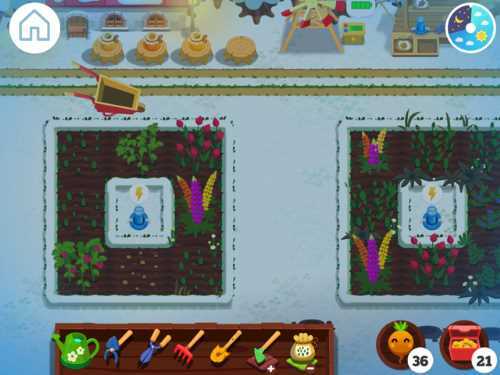 Similar to other time-management games such as Diner Dash and Cooking Mama, Montessori Nature challenges kids to balance gardening tasks so as to run their farm efficiently. Using an excellent visual tutorial, Montessori Nature starts off with one plot of land in which to grow plants. 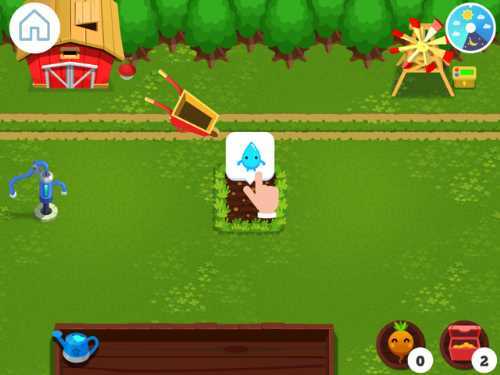 After teaching the player how to prepare the soil, plant seeds, and tend to the growing plants, the app shows kids how to harvest their plants to earn Nature coins. 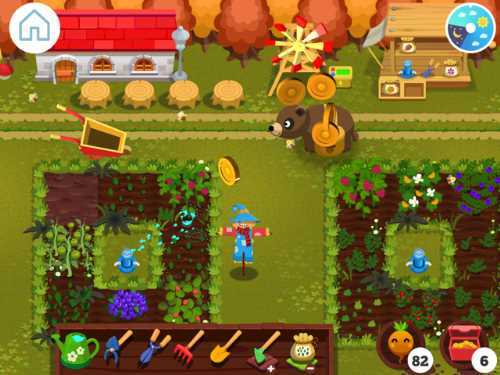 Players use the coins to expand their plots into a bigger garden, and to buy more seeds and equipment. In addition to expanding the garden, players need to watch out for pesky moles and crows. Tapping on the animal pests sends them away. The gardening tasks involve selecting the correct tool and then swishing it back and forth over a plot to fill a meter. Watering can be manually done with a watering can, but it is frequently helped by rain. The on-screen store sells extra water, and the watering process can be automated by purchasing sprinkler systems. The store also sells a wide assortment of seeds, and has lots of other goodies to improve the look and process of gardening, including a robot that helps with weeding. As a gardening app, Montessori Nature does a great job of showing kids the steps involved in raising flowers, fruits, and vegetables. Since the tasks of digging out the beds, planting the seeds, weeding, and watering are part of a bigger time-management scenario, these tasks mostly feel like play rather than work. The exception is the weeding task. As in real life, players must weed so often that it seems more a chore than play. In addition to gardening tasks, players chase away crows and moles, while they wait for the plants to grow to harvest size. This kids' app simulation game always has something for players to do. Montessori Nature cleverly injects a simple economic simulation into the gameplay. 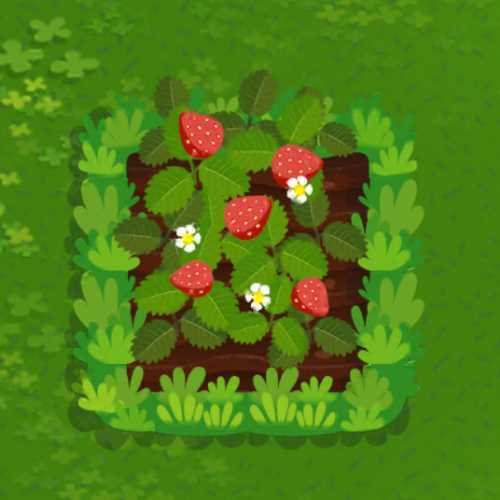 By raising plants and harvesting them, you earn Nature coins. Some crops earn more money than others, so kids can learn about how to plan for the highest crop return. The money can be spent to buy different seeds and other items to modernize your garden, such as sprinkler systems, scarecrows, a dog (to chase off the critters), extra water and electricity, a robot, and fun decorations. 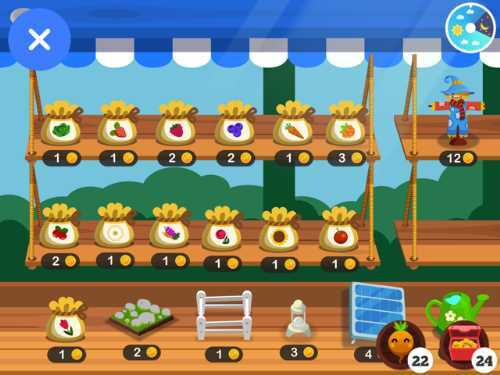 The Nature coins are kept solely inside of the game, meaning there are no in-app purchases. Kids will also witness the importance of growing flowers for the bees, because the app incorporates a bee colony into the game's economics. The most efficient way to make money is from raising honey and making jam from the fruits you raise. If you harvest the fruits and flowers as soon as they arrive, you will attract fewer bees. Kids will learn that planting some flowers and leaving them for the bees to pollinate will ensure a constant stream of bees and thus money from their honey. Montessori Nature also stresses the importance of caring for your tools. If players leave them outside instead of returning them to their shed, the tools rust and you must spend your coins on new tools (instead of new plants and cool improvements). Most simulation games fudge reality to fit their constraints or because they want to create some fun that is unrealistic. Montessori Nature takes some liberties with gardening in the winter. The snow comes, and the plants don't die as they would in real life. The only concession to the freezing temperature is that the bees disappear. Since this is a gardening app, we think it would have been better to only show the seasons in which plants can grow, instead of pretending that plants grow in the winter. Overall, Montessori Nature is an impressive simulation game that does a great job of teaching kids how to care for a garden. Montessori Nature captures the beauty of nature and turns gardening into a fascinating time-management game. It works best with kids who enjoy the challenge of doing things efficiently. Parents, you may find that this app piques your child's interest in real gardening as well. Teachers, Montessori Nature allows up to 40 children to work in a multiplayer community garden, so it works well in a classroom setting. The app also allows families to collaborate on one garden, either using multi-touch on the same device or by connecting separate devices to the same garden account. That way, a grandma could garden with her grandson! 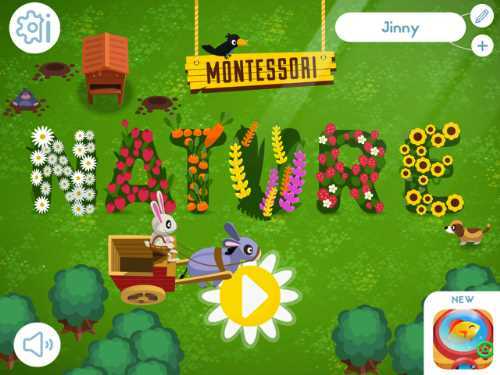 This Montessori Nature app review was written by Jinny Gudmundsen.